My blog sponsors will put a spell on you this Halloween season! Branch out to Faerie Moon Creations, Beadmask, Life is the Bubbles, Viridian Muse, Pencils and Fireflies and Four20moon Tie Dye for spooky gifts. 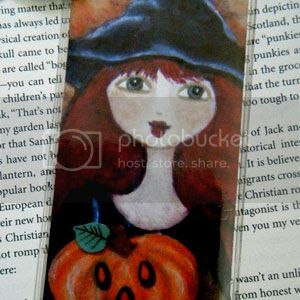 Faerie Moon Creation's sweet Halloween Witch bookmark prefers treats to tricks so she'll try her best not to lose your place in a terrifying tale. 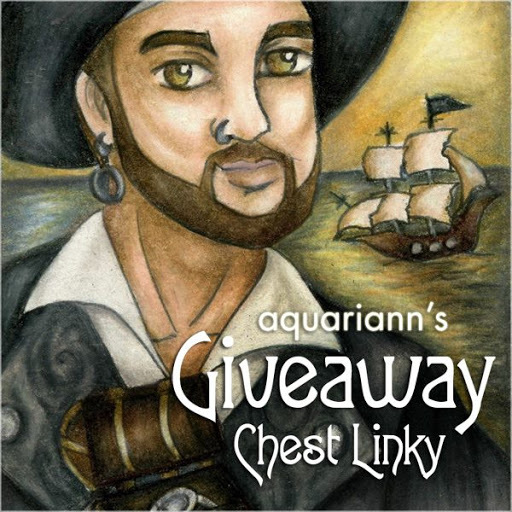 The digitally reproduced image from Theresa's original mixed media artwork has been carefully hand-cut and encased in a clear, soft vinyl bookstore-style sleeve. A beautiful chainette-style tassel is tied through the hanging tab. The overall sleeve height is 8 3/4" and the bookmark inside measures 2 1/2" by 7 1/8". Beadmask's "Boris" bat mask design features simple, classic lines that are flattering on men and women alike! Each mask is sculpted from premium tooling leather, then hand painted and sealed with a protective topcoat. 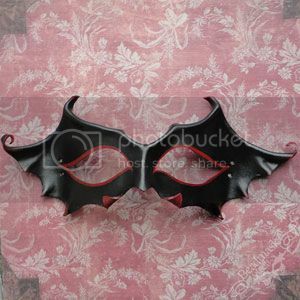 Andrea currently has one in stock already painted with a black base coat - all it needs is a new master to choose an accent color (example photo is red) and it could be flying your way in as little as 2 days, serving you the best bat costume around. Life is the Bubbles' Mistress of All Evil necklace is one of their wickedest Disney jewelry pieces yet. What vixen wouldn't want Maleficent's spectacular skill to transform into a huge fire-breathing dragon at will? 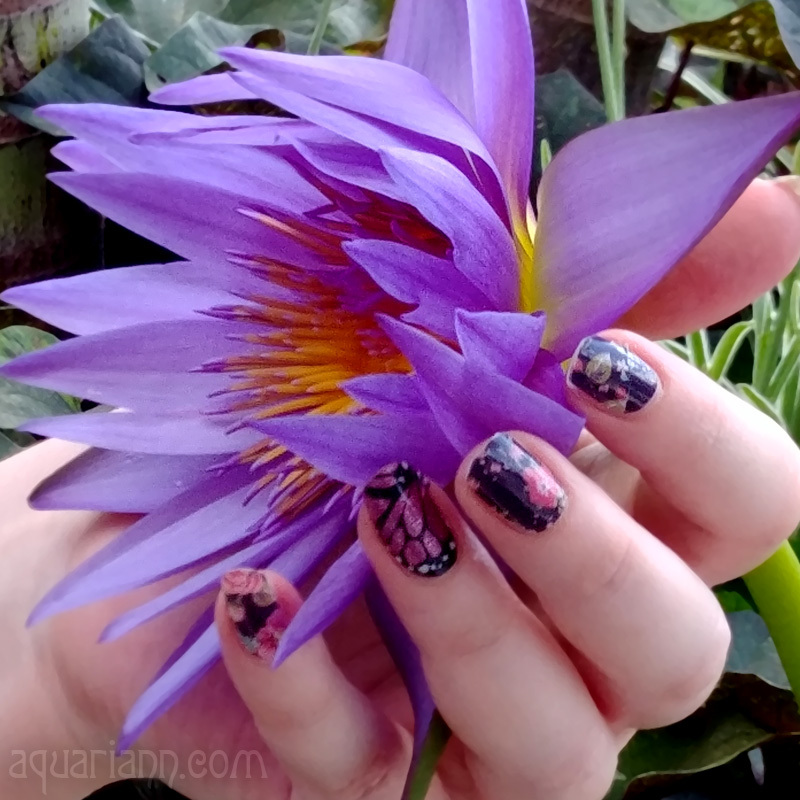 The malicious magic is hand-packed tight in stripes of black and purple that look like gleaming dragon scales. The bottle is 1.5" inches long and embellished with a silver dragon charm. Both cling to a 19.5" chain that closes with a heart toggle clasp. Viridian Muse's brown cat plushie is incredibly cuddly. 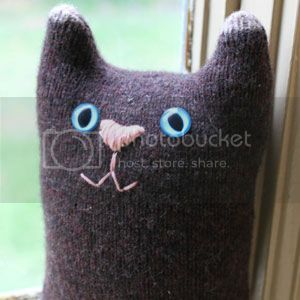 Brownie is a rescued kitty - Chelsea upcycled a felted wool sweater to craft him into existence. He's made small for tiny hands and lots of hugs. His squishy body measures approximately 6 inches tall from his bottom to the top of his ears and approximately 3.5 inches wide. He has peg safety eyes, but she can custom make him a brother with a fully embroidered face for a small baby or chewy toddler. Amalia K took a much-needed detour from an early September creativity rut and created these charming Halloween Witch ornaments to share on her Pencils and Fireflies blog. She had an absolute blast not analyzing or thinking too much about what she was doing - and just drawing something for the fun of it. The free flow of energy bubbled and brewed, dissolving the artist's block. 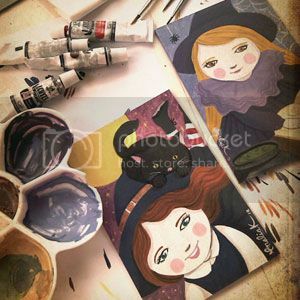 The very next day, she crafted some adorable Halloween cards in a different style than her usual art. Four20moon's vampire bat shirt will make you go batty. 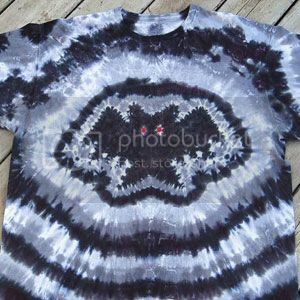 The terrific tie dye design is hand tied on the front of an Adult 2XLarge (50-52 in) lightweight Fruit of the Loom tag-less undershirt. Bat is black with haunting red eyes. Stripes of light gray, dark gray and new black wrap around its wing span to form a unique pattern on the back. The thin, short sleeved super soft tee will spook all who lay eyes upon it, whether worn during Halloween or any other day of the year. Thanks so much...I am thrilled to have my little Halloween witch keeping company with such great goodies! The little kitty is too sweet! 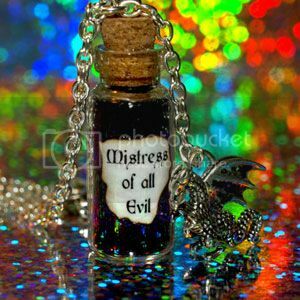 Love the mistress of all evil necklace. I'm still trying to figure out what I want to do for Halloween. I'm thinking of doing something rather simple this year and going with just a handmade mask. Super cute handmade goodness in this fabulous etsy shop!